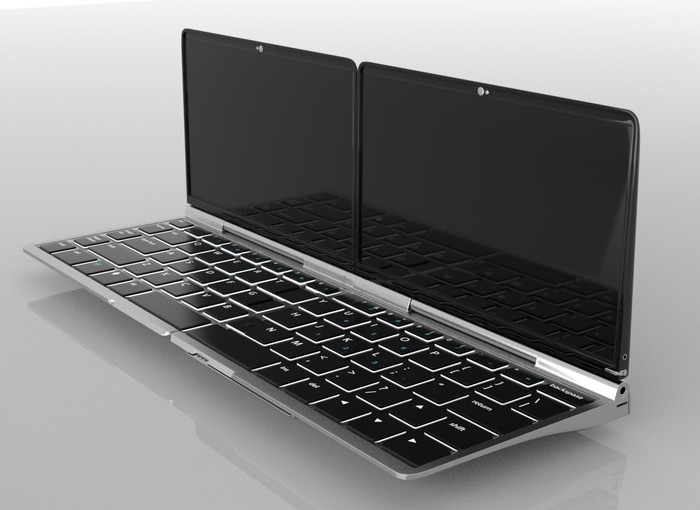 Idealfuture has created a very unique and innovative new way to combine both a smartphone and laptop together in one device called the Dragonfly Futurefön, that is equipped with dual 7 inch screens and a full QWERTY keyboard. The Dragonfly Futurefön can be tailored to meet your daily requirements with hardware components being separated from the keyboard when required. Watch the video after the jump to learn more bout how this mechanism functions. “One Device to Unite Them All: Introducing the Dragonfly! 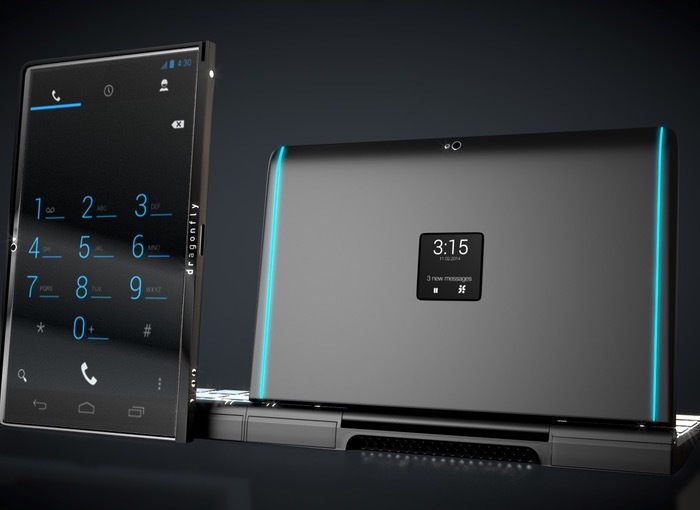 With its unique folding and transforming architecture, the Dragonfly Futurefön ™ capabilities extend far beyond any other single mobile device! The Dragonfly is the most flexible mobile platform, since it provides both a Windows and Android user experience out of the box. Made of high-quality aluminum uni-body construction, the Dragonfly is tough! So if you think Dragonfly Futurefön is a device that you could benefit from, visit the Indiegogo website via the link below to make a pledge and help Dragonfly Futurefön become a reality.